Save the date! 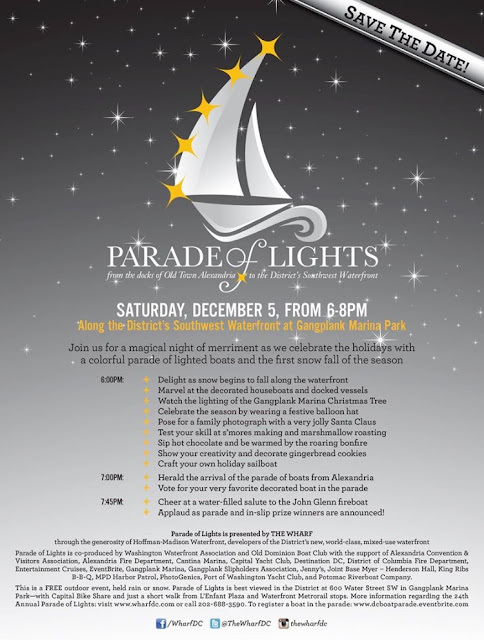 Parade of Lights (Parade of Lighted Boats) will be on December 5th, 2015. Register your vessel here: http://dcboatparade.eventbrite.com. Let’s go all out this year. Slipholders are highly encouraged to decorate and assistance can be provided upon request. Show DC how Gangplank does the holidays! *GPSA is hosting a decorating day on December 3rd starting at 5pm. We will provide pizza and drinks. For anyone needing help decorating please send an email and we will have volunteers help you decorate. For anyone wanting to volunteer send an email or show up that day to help decorate. We want to try to get everyone to decorate their boats and show this community who we are.